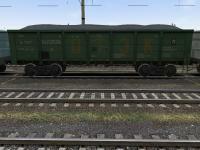 This patch version 1.3 adds new loads to the wagons of models 12-1704, 12-7023, 12-783M, 12-9044, 12-296, 12-9046 such as 20-claydite. 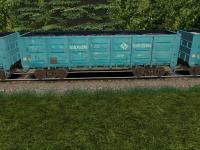 And also adds loads to wagons 12-127 - loads with the index p, 12-1704,12-1704-01 with the index g, 12-1704-03,12-1704-04 with the index ga, 12-296,12-296 -01 with the index e.
UZ (Ukrainian Railways) gondola car #0069, type 12-783M #60368040 empty and with various loads. 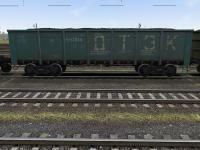 UZ (Ukrainian Railways) gondola car #0068, type 12-783M #56120934 empty and with various loads. (Manufacturer - KVSZ, owner - "DTEK"). 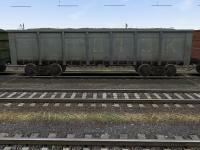 UZ (Ukrainian Railways) gondola car #0067, type 12-783M #56120538 empty and with various loads. (Manufacturer - KVSZ, owner - "DTEK"). 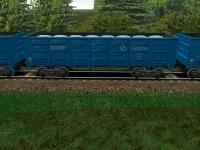 UZ (Ukrainian Railways) gondola car #0066, type 12-783M #56121114 empty and with various loads. (Manufacturer - KVSZ, owner - "DTEK"). 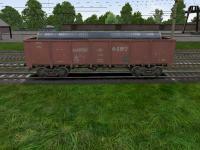 UZ (Ukrainian Railways) gondola car #0063, type 12-119 #66233354 empty and with various loads. 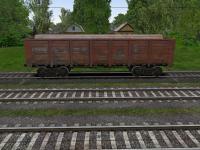 UZ (Ukrainian Railways) gondola car #0062, type 12-119 #66489261 empty and with various loads. 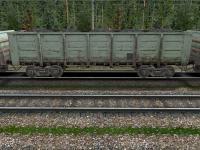 UZ (Ukrainian Railways) gondola car #0061, type 12-119 #67881748 empty and with various loads.